What’s your gift for God this Christmas? I was talking to my family the other night and the topic of “Gifts” came up in our conversation. My sister said that she had something specific to ask God this Christmas. Then, it struck me. Isn’t it usually the birthday boy/girl that is showered with gifts? All these days, I’ve been asking God for gifts. I think it was about time I changed that. This Christmas I am doing something very different. I am giving God a gift that he’d like for his birthday. Some of you might be thinking what in the whole world would you give someone who has everything, owns everything and is everything. Quite true! But you see, if you take time and think about it…God gave us back some ownership rights so we don’t become like robots that simply execute commands from its creator. We know one clear right we all have – our will/ability to choose between good and evil. So this Christmas, I promised to love him even more and obey his commands. I promised to spend even more time in His presence. I’m sure he is very happy with my gift. 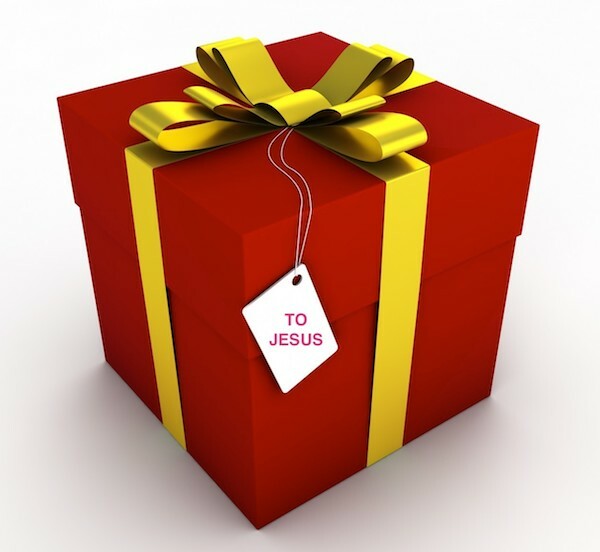 What’s your gift for Jesus this Christmas? After all, he has come to lay down his life for you… so you may have life and life more abundant – spiritually and literally.